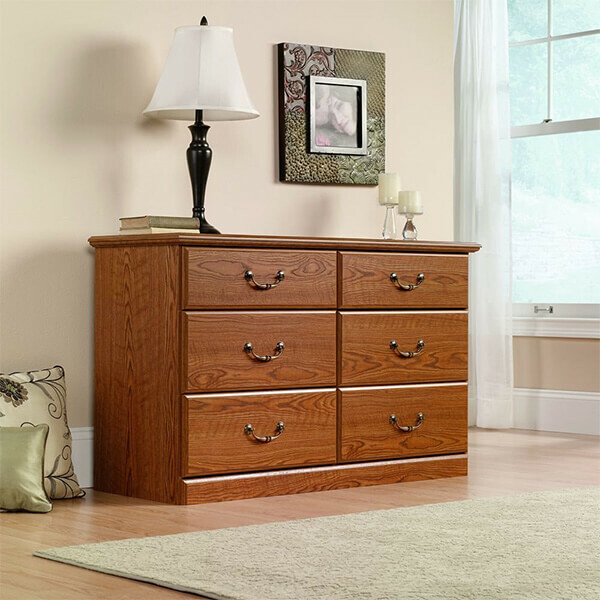 The Sauder Carolina Oak Finish Orchard Hills Dresser is a beautiful oak dresser that comes with metal runners and safety stops for simple opening and closing of the six included doors. The four drawers on the bottom are ultra deep and roomy to store more of your clothing. 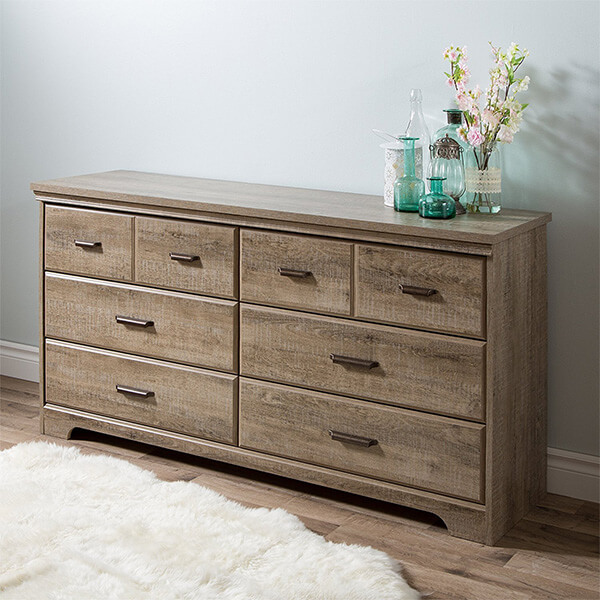 The Sauder Beginnings 4 Drawer Chest is a traditionally styled chest that affords you versatility in terms of where you can place it. It features four drawers, but the three lower drawers are extra deep. All of the drawers come with easy glide mechanisms and safety stops. 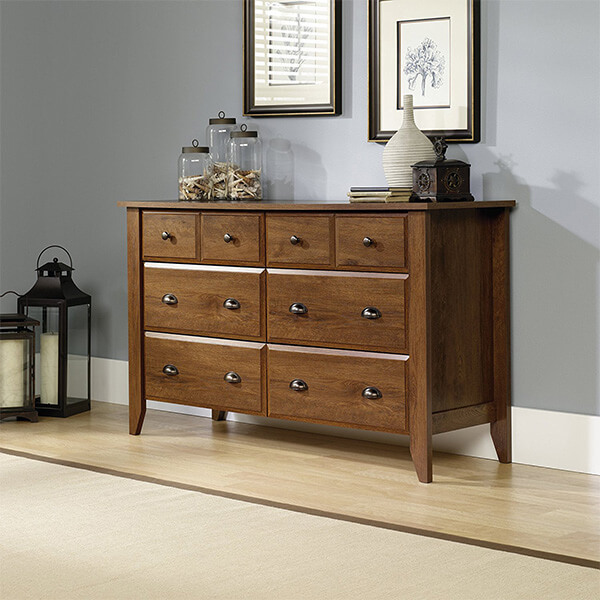 With its beachy, coastal feel, the South Shore Versa 6-Drawer Double Dresser is a great dresser for any casual bedroom. It offers six spacious drawers with the top two drawers having faux accents on them to give them the appearance of more drawers. It has been given a weathered oak finish. 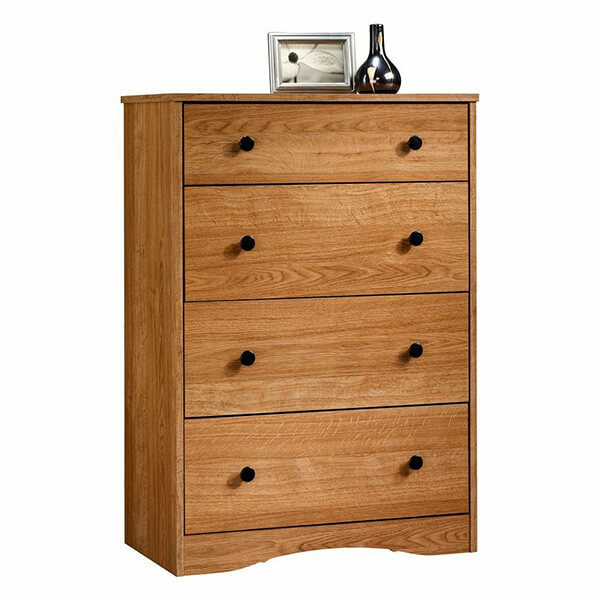 The South Shore Fynn 6-Drawer Double Dresser is a modern dresser that comes in an oak finish. It comes with six convenient drawers in various sizes. There are metal drawer slides in each one of them to make opening and closing them a simple thing to do. 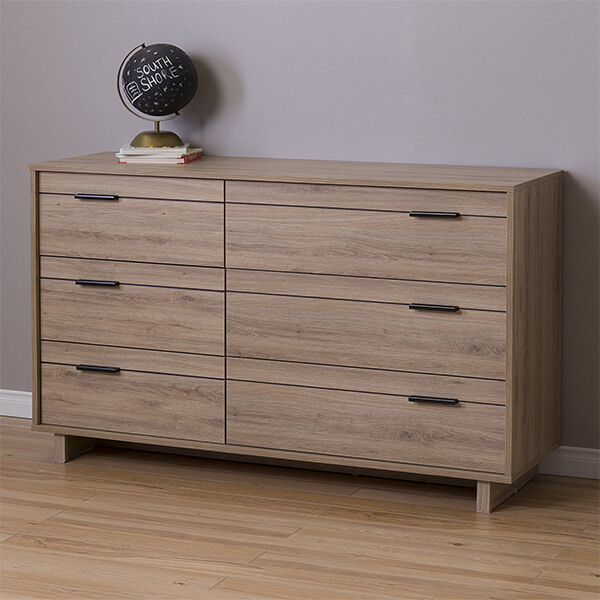 The Sauder Shoal Creek Dresser features six different drawers, each of which comes with easy glide metal runners. The bottom four drawers are extra deep, while the top two will better serve you as accessory drawers. This dresser comes in a beautiful oiled oak finish for a bit of shine. 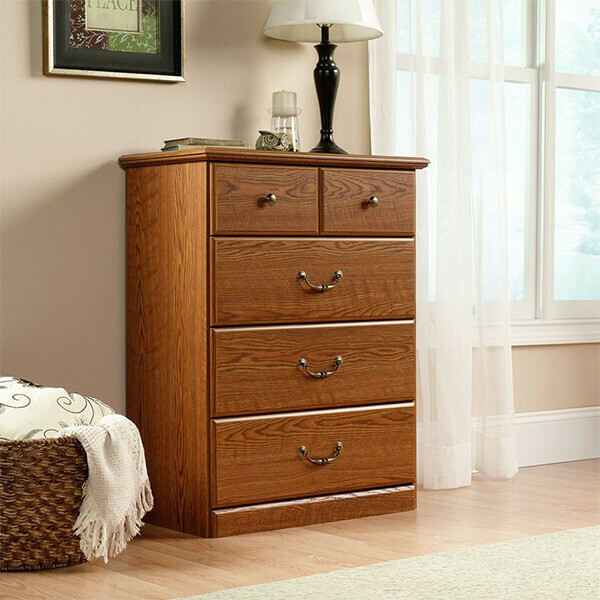 The Sauder Orchard Hills 4-Drawer Chest is a traditional style dresser that can fit into any bedroom space. There are four drawers, each one equipped with its own metal runners and safety stops that make the drawers simple to open and close. The three lower drawers are deep and accommodating.